TORONTO, ON – Toronto-based beer writer Ben Johnson has revealed via a post on Ben’s Beer Blog that a previously draught-only seasonal favourite from Mill Street Brewery will soon be available at the LCBO. Mill Street Vanilla Porter – an English-style porter made with roasted barley, caramel malt, Nugget hops, and natural vanilla extract – has been available at the Mill Street Brewpub annually since 2009. It is now being released in cans that feature the same nitrogen-changed widget as the brewery’s Cobblestone Stout, resulting in a smooth and creamy pour. 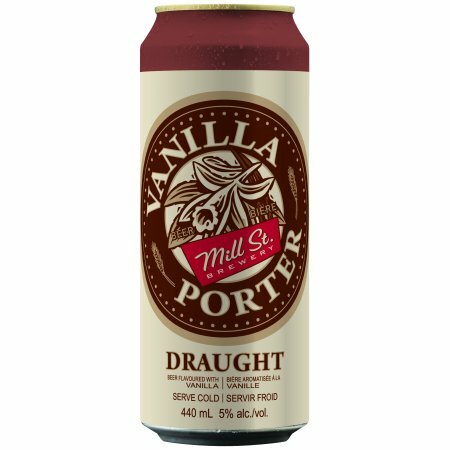 Mill Street Vanilla Porter is being rolled out to LCBO outlets this week, and will sell for $2.90 per 440 ml can. I can’t believe they discontinued this product! I love it!